Soft-sided case for your Singer Featherweight 221. 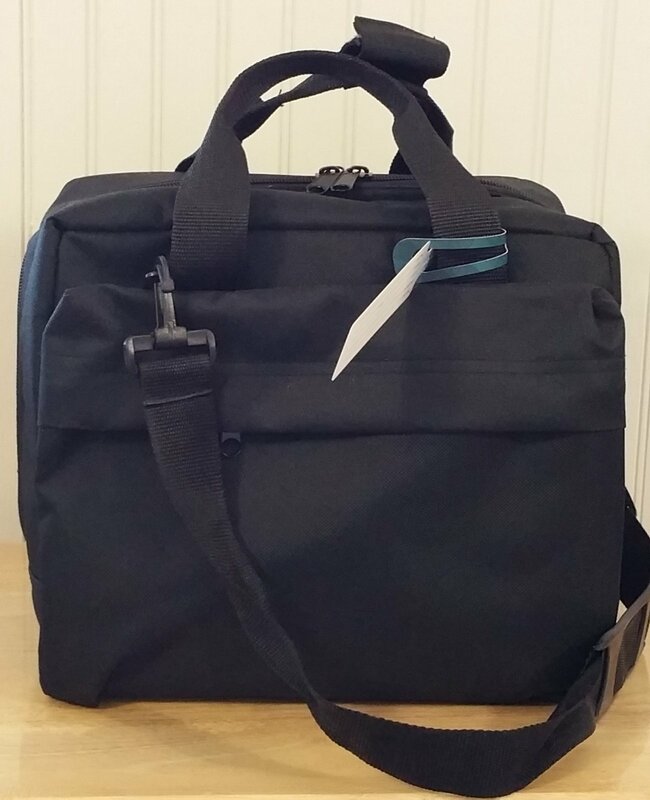 This padded canvas case has a shoulder strap as well as handles. Your Featherweight will fit inside - just right! Zippered pocket on one side and slip in pocket on the other allow for extra storage. Available in red or black. Please select color. Nova's daughter has flown with her Featherweight in one of these cases with no problem!